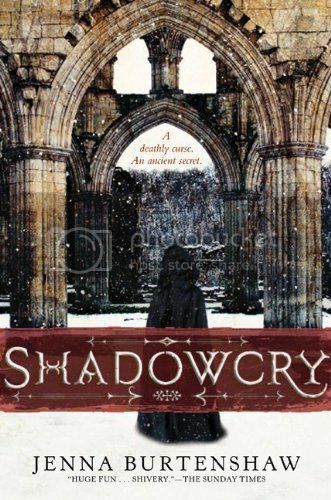 I got Jenna's novel Shadowcry for Christmas, and it was the perfect winter read! So glad to be able to feature her here today and have a huge fan give away a copy of the first book in the Wintercraft series. Read on, squeakers! Being a UK author, have you seen equal amounts of fan-dom from both your local fans and international fans? Is it weird having to adjust to different titles/release dates? Readers from all over the world have been absolutely lovely. UK readers sometimes write to let me know that they’ve really enjoyed the story, while readers from the US like to go crazy for individual characters (especially Silas Dane). I’d say the UK/International reader split is about equal. I often receive fan art from the US and Portugal in particular, which is brilliant. It does take a while to get used to the new international titles and it’s hard to know how much to say to international readers who may be one or two books behind other countries’ release dates when they ask about later aspects of the story, but everything has been running smoothly so far. Is there much/any difference between the UK editions of the books and US editions? I changed some words in the US edition – e.g. ‘jumper’ became ‘sweater’ - and my US publisher altered the spelling of certain words. I also made some adjustments to a few scenes, but I think only the most eagle eyed of readers would be able to spot them. You’re an animal-lover and dog owner, hurrah! If there was any one animal in the world that you could spend time with (either as a pet or in the wild) without fear of being eaten/poisoned, what would it be and why? If I could get up close to any animal in the world it would be... a giant tortoise. Just looking at them is relaxing. They saunter about, letting the world go by. I think they would be very calming to be around. I spend a lot of time thinking about a story, building the world around it and working character ideas before sitting down to write the story itself. Once I get going, I write most days, but I don’t set definite goals unless I’m working to a deadline. I generally aim for at least 2000 words a day, but I’m a serious rewriter. I write lots of drafts before I’m happy, so I see each new version of the book as a milestone. Each one brings a new idea or feeling into the story, and I love that. Do you read a lot of YA? I ask because YA authors often say they don’t read YA while they’re writing because they are concerned about absorbing too much of another author’s voice. Is that an issue for you? Yes. I have lots of YA books on my bookshelves, but I always avoid reading anything that might be similar to something that I’m working on. Usually when I’m writing I’ll try to read something completely different. Nonfiction books are great, because they put my brain into a different gear. While I was writing the Wintercraft series I read a lot of science and history books and then switched to crime fiction while working on my most recent book. I don’t tend to pick up other authors’ voices, but interesting characters and places can stay in my head for a long time. Are you a fast writer or a slow writer? Roughly how long does it take you to finish a book? How much time passed between you writing the first word of Shadowcry and having it picked up by a publisher? It took around two years from having the first idea for Shadowcry to signing a contract with my UK publisher. The other books in the series took less time to write than the first because I already knew the characters and the locations, so a lot of the main work was already done. My new book, which isn’t part of that series, took nine months from the initial idea to finished manuscript, so I’d say I’m getting faster! And just for randomness' sake: Fleece or silk? Mad-lib time! Credit for this idea goes to the reviewers at Everead! The wolf made it all look furry and purple. Children bounced without parents, dogs sang through the streets, and the dark robes of the wardens were never far away, breaking down moons or dancing people into ballons. She thought about Artemis and about all the years they had spent worrying about this day. It had made no difference in the end. You can win a copy of Shadowcry! Today's giveaway is hosted by Hope, Love, and Happy Endings. Head on over to win. This giveaway is open INTERNATIONAL! I've been curious about this read for months. Sounds really promising. Fleece ftw! I've never heard about this series before, but the covers are gorgeous and the goodreads summary just hooked me! When I was a kid I always wanted a tortoise as a pet :) I still think they are very beautiful animals. It's always really interesting to hear about authors' writing habits! There are so many different types of writers. Ooh, this book looks really good. Thanks for the awesome interview and giveaway! Great interview! I think it's interesting that she changes things for UK and US versions...makes me wonder if other authors do that too. Thanks for this amazing giveaway! This book sounds great and I would love to win it! I love that this is going to be a series. I'd never really give a thought to the changes that would have to be made for the different versions of a book when it is released in different countries. The covers are gorgeous! I also loved the interview. Before this, I hadn't heard of this series but I'm definitely going to check it out now. I want this book so bad! Thank you for the interview! 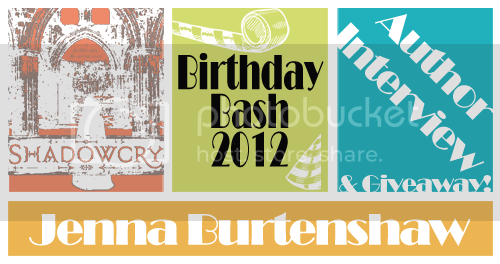 I have never heard of Jenna Burtenshaw, but her books sound interesting! 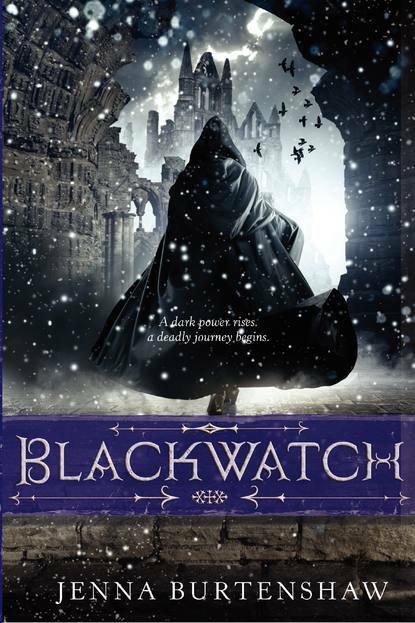 I especially like Blackwatch's cover! I've been looking forward to reading Wintercraft, and now I feel even more motivated to get my hands on a copy. Thanks for the interview and giveaway! Nice interview! It must be annoying to change american words to british words.. lol! First time i hear about this book, will add it to my TBR! I never thought about not reading YA while writing, but it makes a ton of sense. I also think I want to pick up a UK copy of this...I love the British spelling/word choices! The books sounds great! Jenna is a new author for me, and I can't wait to read all her works! A giant tortoise- that's a nice animal to have. The book's synopsis is interesting. Great interview! Thanks for the great interview :D! I had often wondered about the differences in the books for different countries. Things would need to be tweaked. The books ALL look amazing.